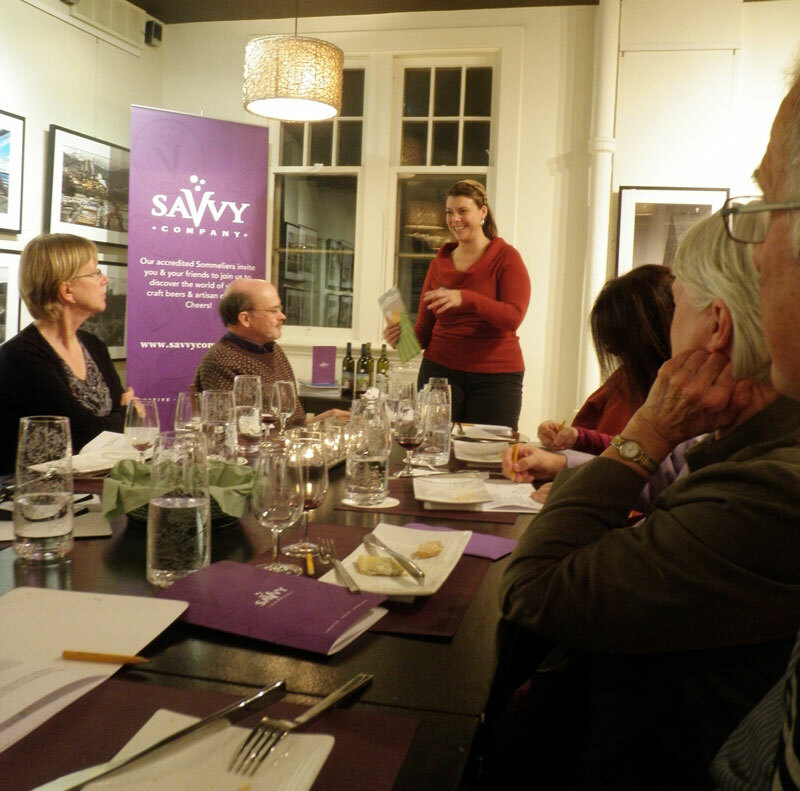 Vanessa Simmons passes her enthusiasm for cheese on to students at a Savvy Company tutored tasting. It is hard to imagine someone with a greater enthusiasm for cheese and its appreciation than Vanessa Simmons. “I’ve never met a cheese I didn’t like,” she insists, and I believe her. I met Vanessa on a Monday night in Ottawa as she led a cheese-tasting class presented by Savvy Company titled the Great Canadian Cheese Discovery. Held at Thyme and Again Food Shop, the class focused on Quebec artisan cheeses. Vanessa is a Cordon Bleu-trained chef, whose passion for cheese first developed when she made her own feta during a cooking class. She says she was amazed that it seemed to take just “magic, faith and some TLC” in order to produce a great-tasting cheese. She was hooked. Vanessa is now working toward her Cheese Education Guild certificate with Canadian cheese maven and author Kathy Guidi. Once a week, Vanessa leaves work early and drives five hours from Ottawa down Highway 401 in order to attend the cheese appreciation course in Toronto. “My brother jokes I either need a boyfriend or a dog, because I spend way too much time with cheese,” Vanessa says with a laugh. But Vanessa’s great enthusiasm for cheese makes for a tasting course that is both educational and inspired. She led her 18 guests through a selection of seven Quebec cheeses, all of which paired with two Ontario wines: Cattail Creek Chardonnay Musque and Niagara Teaching College Winery Cabernet Sauvignon. 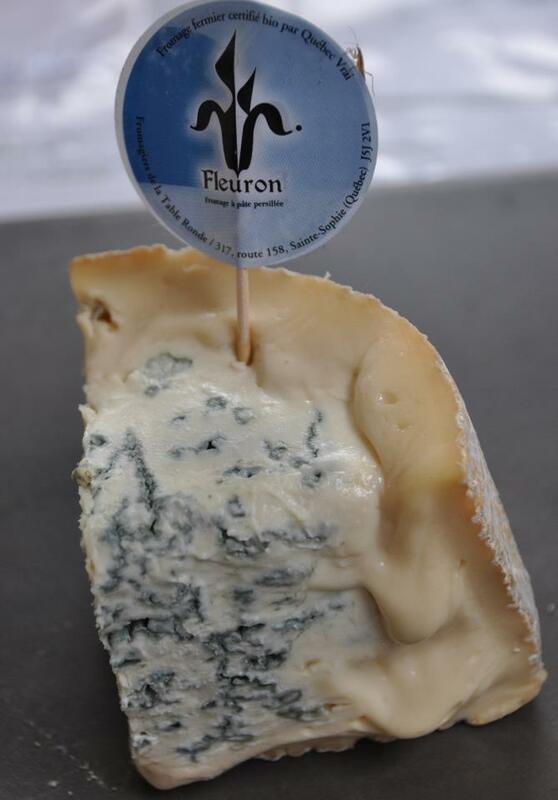 We began our sampling with Le Joupon Frivole from Fromagerie Les Folie Bergeres in St-Sixte, a soft, rich surfaced-ripened sheep’s milk cheese. It was fresh tasting and had a thick texture, forming a paste that coated the mouth. The milk used for Le Jupon Frivole is thermalized, a process commonly used in Quebec. Unlike the high heat of pasteurization, thermalization uses lower heat over a longer period of time. It is therefore gentler on the milk, and helps maintain its original flavours. Our second cheese of the evening was Foin D’Odeur, produced by La Moutonniere in Sainte-Helene-de-Chester. When it was presented to us, this ripe cheese was melting all over the plate. 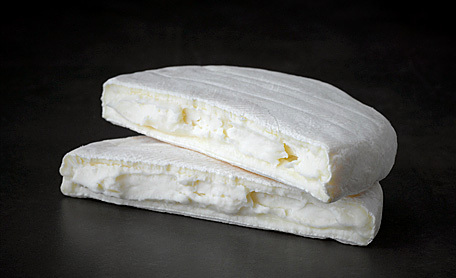 Foin D’Odeur is a bloomy rind sheep’s milk cheese. It had grassy, natural flavours, while the rind tasted mushroomy. Nearly every cheese we tasted that night was packaged in a beautiful, hand-designed label, as Vanessa pointed out to the group. The unique labelling reflects the grassroots nature of Quebec cheesemaking. The labels serve as an indication of where the cheeses comes from, and speak to the personal attention they receive from their makers. Our next sample was a knockout little cheese, and one of my two favourites from the evening’s selection. Le Pizy from Fromagerie La Suisse Normandie in Saint-Roch-de-L’Achigan comes in a tiny wheel, but packs a rich, buttery taste with a bit of a tang. A winner at Quebec’s Selection Caseus awards this year, this cow’s milk cheese is a standout. 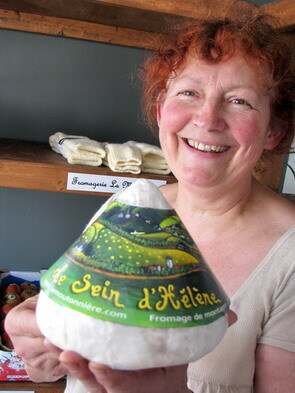 Sein d’Helene with cheesemaker Lucille Giroux. We then moved to the most playful cheese of the evening, Sein d’Helene from La Moutonniere. Literally “Helen’s breast,” this cheese is sold in a cone-shaped package, both to reflect its cheeky name and the mountainous region from where it hails. 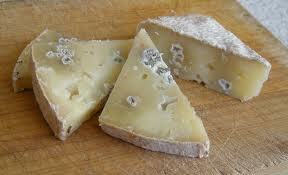 The cheese mixes sheep and cow’s milk; it is a fresh, earthy tasting cheese with a bit of acidity. Our next selection was a goat’s milk cheese from Fromagerie La Petite Heidi in Saint-Rose-du-Nord called Tomme Le Rosee de Saguenay. The cheese presented barn aromas and had a sweet, tangy taste. 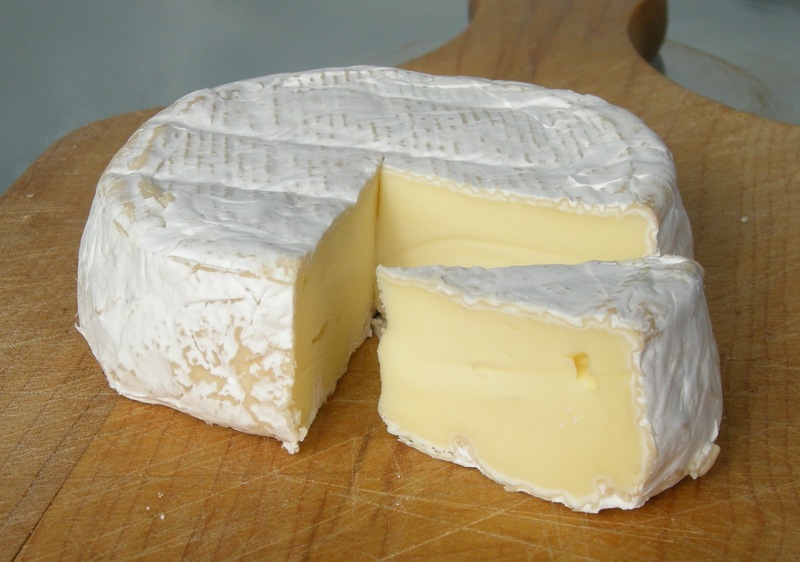 It is dry and crumbly in texture with a yellow-coloured rind. Next up was the second of my two favourites from the evening: Hercule de Charlevoix from Laiterie Charlevoix in Baie-St-Paul. 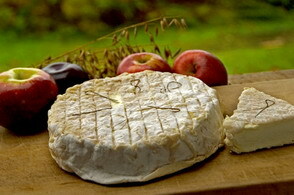 The cheese is named for a legendary local figure, Jean-Baptiste Grenon, dubbed “Hercules of the North”. 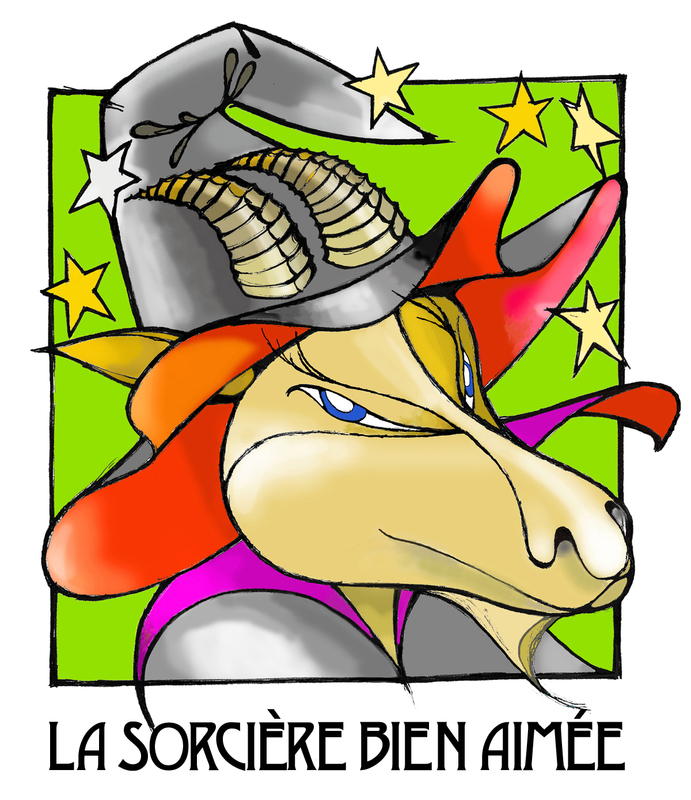 According to local lore, when Grenon was captured by the English in the 1700s and hung, he fought so hard and so long, the English were so impressed they released him from the gallows. 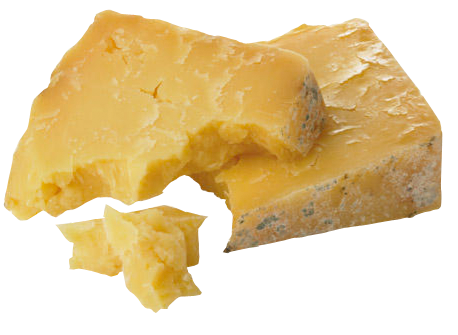 The cheese certainly exhibits some of that same strength with its powerful flavours. A thermalized cow’s milk cheese, it tastes of earth and nuts, with a rind that tastes of chocolate. As the evening wound down, I finished up my wine, and mingled a bit with the crowd of satisfied cheese students. Finally, I made my way over to bid goodnight to Vanessa. Like a true cheese enthusiast, she was standing by the cheese table, making sure none of the evening’s offerings went to waste. Phoebe Powell, CheeseLover.ca’s roving reporter, is currently based in Ottawa. Her last post was about pairing artisan cheese with craft beer.